Beyond Quantum Healing Hypnosis refers to a modified version of the original Quantum Healing Hypnosis Technique. Each practitioner applies their own unique technique that goes above and beyond the original QHHT technique. Beyond Quantum Healing Hypnosis also includes long-distance and online sessions. Other modes and my specialties that might be used in your session are Quantum Healing Energy, Reiki, Quantum Energy Connection, Intuitive and Mediumship skills, guided meditations. By incorporating these other modalities, we work with the Higher Self, Soul Team (Spirit), Angelic Realm, Ascended Masters, and/or Higher Dimensional Beings to release old thought patterns and blockages (past, heritage, concurrent, and lineage), bringing all aspects of the Self into alignment to restore and cultivate healing and inner peace within the Self, lineage, and connection to Universal Consciousness and Source. Online sessions are available. Online sessions are conducted via Skype or Zoom (apps available to download for free). View BQH Technology Requirements for details about the technology you will need for an online session. Online sessions are done the same as an in-person session. We connect to the Higher Self to visit "past" or relevant other lifetimes that may still be affecting you today. We also bring in Spirit Guides, the Angelic Realm, Ascended Masters, Healing Teams, and Higher Dimensional Beings that are ready to offer guidance, answers, assistance, and healing. Before each session, you will decide which questions you would like answered. You will bring those questions to your session. The two of us will have a conversation to discuss your questions, for me to learn more about you, and why you want a session. Next, we begin the online hypnosis session that may last up to 2 hours. This is followed by a brief (up to 30 minutes) conversation to begin to unpack and decode the wisdom and experiences you have within the hypnosis session. Online sessions are highly successful, just as successful as in-person sessions. Prior to your online session, I work to connect to your energy and Soul Team. When we meet together online, we work in the Quantum field where we go above and beyond the traditional time and space limitations. How does a Beyond Quantum Healing Hypnosis session work? 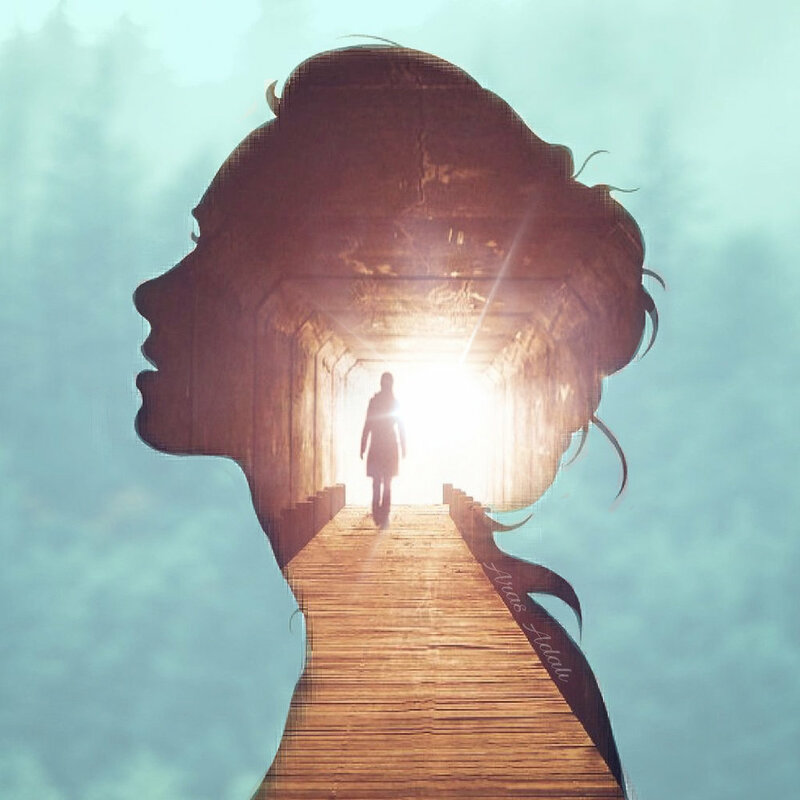 A past life regression is conducted as well as connection with your Higher Self, and healing teams. Each session is divided into three parts. The first part (up to 1 hour) is dedicated to an interview and conversation process to know you, why you are seeking a session, and to review your questions. The second part (up to 2 hours) is dedicated to the actual Hypnosis session, where we will visit "past lives" that correlate with your life now, and connect with the Subconscious, Superconscious or Higher Self, Soul Team (Spirit), and/or Angelic Realm to answer your questions and make requests on your behalf. The third part is a brief discussion after your session to begin to unpack and decode experiences and wisdom you received in your session. It is possible for a person to experience past lives, future lives, parallel lives, simultaneous lives, ancestral lives, star family lives, lives as pure energy or consciousness, or even lives in other dimensions, planets, and star systems! They may even find themselves on the Spirit realm or in the Akashic Records. Your Higher Self always chooses which "lives" and "messages" to show that are most relevant to the individual and where they are at the time of the session. Keep in mind that having a Beyond Quantum Healing Hypnosis session is not like having anesthesia. You will likely be aware of your experience as it is happening. It is possible remember a lot, if not all of it, when completed. However, your "consciousness" and awareness in the hypnosis is at a much deeper level. Some people wonder if it was all a "dream" or if they were "making it up" — those thoughts and feelings are normal for some people and are based on their belief systems and the depth of spiritual development. Hypnosis can feel like a dream or a product of your imagination because you are in deeper states of consciousness. The same states that you use when daydreaming and dreaming. However, it's important to trust in the information that is provided to you during your session. As soon as you schedule a session, your Higher Self works to prepare you — often when the thought first sparks. You are always connected to your Higher Self — all day, everyday. This is true even if you are not yet conscious of this connection. When you are in your hypnosis session, you open that channel, experience the connection, and receive information that your Higher Self wants to show you. The higher self reveals wisdom to assist you to expand into the greater aspect of who you truly are — your highest and best versions. It is here that you find your answers. Online sessions are $175. In-person sessions are $260. In-person sessions will have a travel charge of $50-100 within the DFW metroplex. All sessions can range 3-5 hours. Click here to book your free BQH Discovery Session. Email: bridget@bridgetreneeholliday.com to request a direct scheduling link so you can determine session availability or if another Discovery Session is required. In-person sessions are held in Dallas, Texas and the surrounding areas. They can also be arranged for areas outside of the DFW metroplex. Please review Preparing For Your BQH Session. “I had the fortunate opportunity to do a BQH session with Bridget. Working with Bridget is always an amazing, enlightening and loving experience for me. She spent so much of her time with me. The prep time alone was an hour; the session itself was three. She is SO gifted and so impassioned about what she does. She loves assisting others in finding their path or finding their place on it. I am probably not the easiest client as I am newly on my path and still learning how to fully, deeply meditate, visualize, listen. She was nothing but patient with me in this session. She would ask what I was seeing, hearing or feeling and sometimes that was nothing. She would patiently wait, listen, ask the question another way, if needed. I could tell she was also learning and adjusting to me and my way throughout the whole session. It was amazing. Days, weeks after the session, I have noticed a difference. I’ve been dreaming vividly, having a lot of ah-ha moments. I feel my vibration has been higher. I’ve been experiencing the world and my place in it a bit differently. Looking for a Beyond Quantum Healing Practitioner or a Quantum Healing Hypnosis Practitioner in your area? 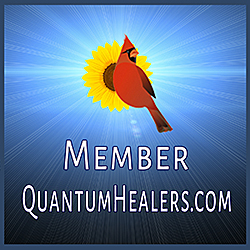 Visit the Quantum Healer's Directory.